Colors is the fourth release from multi-instrumentalist/composer John Otott. 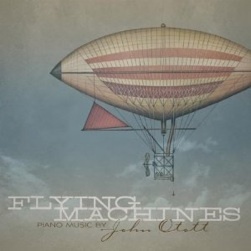 This 13-track collection of piano-based instrumentals features dramatic and emotional string and keyboard arrangements that were often inspired by events in Otott’s life. 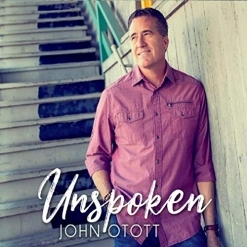 A life-long musician, Otott has performed with some of the biggest names in pop and jazz in addition to his own ensembles. He has composed music for numerous television spots as well as for a musical about the life of Elizabeth Barrett Browning. With those varied influences, it comes as no surprise that Otott’s music is emotionally powerful and evokes vivid visual images. Otott’s 14-year-old daughter, Isabella makes her recording debut on one of the tracks playing violin behind her dad (nice work! ), adding another personal element to the project. I also need to mention the outstanding cover artwork, “Grand Piano” by Mark Kazav - very vibrant and eye-catching! Colors begins with “Tesoro,” my favorite track on the album. The title translates to “treasure,” and the piece is both energetic and adventurous with some powerful drums behind the dancing piano. Poignant string washes add an effective contrast to the piano’s energy in several sections, making this piece truly exceptional. I also really like “The Wind Song,” which features Isabella Otott on violin. The bright and fanciful piano again contrasts with the smooth strings in the first theme. The second theme introduces additional instrumentation and rhythmic percussion, evolving into a more flowing melody that ends with the buoyancy of the first theme. Love it! The title track is a group of different musical themes that evoke a variety of colors - sometimes pastel, sometimes dark and dramatic, and sometimes bright and vibrant, it’s a beauty! “Song of the Willows” is a graceful piano solo that successfully captures the movement of these elegant trees in a gentle breeze. I love the short “Interlude,” a playful minor-key waltz that is perfect in its brevity. “I Will Sail Away” is a solo piano arrangement of a piece that appeared on Otott’s Exit Reality several years ago. “A Memory” is amazing. It emerged from the emotionally agonizing experience of watching his mother’s journey with Alzheimer’s over the past six years. There is a broad range of emotions, expressed in their purest, most tangible form and will leave the listener stunned. “August and Life” follows and is the polar opposite to “A Memory.” A celebration of the birth of Otott’s daughter, it is joyous exhilaration set to music! “Soaring” brings this exceptional album to a bright and lively close with strings, keyboard and percussion. 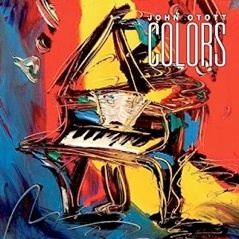 Colors is available from johnotott.com, Amazon, iTunes, and CDBaby and is recommended!